Recent highway improvements along the West Shore of Lake Tahoe has had the back-country ski community up in arms over the loss of parking access at many favorite ski locations. The improvements are part of a project to improve lake clarity through capturing storm water and filtering out fine sediment, oil and other pollutants before they reach the lake. The State Route 89 Water Quality Improvement Project, which is being completed by Caltrans, involves installing new drainage systems and included reducing the size and number of dirt pullouts along Highway 89 where skiers traditionally park to access winter trailheads to Jake’s Peak, Bliss Peak and Desolation Wilderness. The construction is part of a larger project improving storm water drainage lake wide including work on Highway 28 in Kings Beach and U.S. Highway 50 in South Lake Tahoe and Meyers. The project is slated for completion in 2017. The elimination of these pullouts was met with public outcry as members of the back-country community wondered why their opinions were not considered during the planning of this project. While no one argues against the importance of improving and protecting lake clarity, most back-country enthusiasts believe that recreational access should be a key component in planning such projects. In a community such as this, recreational access and environmental protection cannot be mutually exclusive, they say. “The West Shore and Jake’s Peak is some of the best skiing in the area. 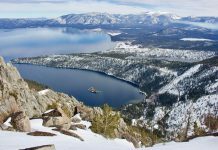 It’s north-facing with widely spaced trees and amazing views of the lake,” said David Reichel, a 15-year veteran of Tahoe back-country skiing. The area is so coveted that it received national recognition in both Powder Magazine and Backcountry Magazine. Back-country skiing and snowboarding is a rapidly growing sport. Snowsports Industries America reported a 12 percent growth in sales of back-country skiing accessories in the last year alone. They report that sales of back-country gear has been steadily increasing over the past 5 years, while sales of resort-specific gear remain steady. In Tahoe, this growth is reflected in the increasing number of clinics and events targeted at promoting back-country safety and education. In 2014, Brendan Madigan, owner of Alpenglow Sports, founded the Alpenglow Mountain Festival to celebrate human-powered sports and back-country exploration in the Tahoe Basin. The festival offers guided ski tours and avalanche awareness and rescue courses, with many of its events selling out each year. 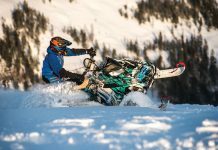 However, despite its rapidly growing popularity, winter back-country access has yet to find its way into public project planning, says many back-country enthusiasts. “I don’t think there was any malpractice, but it should have been considered in my opinion. It speaks to an oversight whether it was intentional or not,” said Madigan. Planning for the State Route 89 Water Quality Improvement Project began following the introduction of the Lake Tahoe Restoration Act in 2001, which aims to stop the rapid decline of lake clarity and included the allocation of funds for erosion control projects around the lake. Caltrans released a study of the project’s impacts in May 2008 to allow for public review and comment. The 196-page document extensively covers potential negative impacts including traffic, safety and recreational access. The dirt pullouts in question along Highway 89 are specifically addressed in relation to traffic and safety concerns. The study goes on to discuss methods to eliminate the dirt pullouts during the project work, which has now resulted in harsh criticism from the back-country community for not considering the impact on recreation access. “TRPA is concerned about how to prevent new coverage from being created as a result of the Project. Automobiles may continue to park off pavement and create new areas of compacted dirt and disturbance to adjacent lands. To help prevent vehicles from creating new areas of coverage, rock-embedded berms may be incorporated, to the extent feasible, just outside the clear recovery zone. Other methods that would be installed closer to the edge of pavement to prevent parking would include bollards and landscaping,” the document notes. “One thing you have to keep in mind is that these are not authorized parking lots. Skiers have historically accessed these areas from unofficial parking spots that were damaging to the environment,” said Steve Nelson, Tahoe Basin Outreach Coordinator for Caltrans. As part of the public planning process for projects by government agencies at the local and state levels, including Caltrans, public notices regarding proposed projects and subsequent environmental reviews are issued through legal notices in local publications, press releases and public hearings that are open to the public. Caltrans also posts proposals at dot.ca.gov with a local Twitter feed @TahoeRoads. However, it’s unclear if any public outreach was specifically targeted to the back-country skiing community. And, in an age where most people rely heavily on social media and online news outlets for information, it’s unlikely the general public would know what a legal notice is or where to find one. “When we were looking at reducing these turnouts it made sense to us with what we were trying to accomplish with this project, which was to reduce the footprint and eliminate erosion. I’m not sure how much discussion took place regarding where people will park if we take away these spaces. Now agencies are backtracking to see how we can accommodate these folks,” said Nelson. 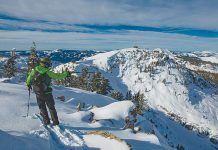 In response, local back-country skiers including Reichel have formed the Tahoe Backcountry Alliance to give a voice to winter back-country enthusiasts. “I think the silver lining for the back-country community is it gives us a rallying cry to come together to fight for access,” said Madigan. Jake’s and Bliss peaks aren’t the only areas in Tahoe where access has been limited or eliminated. Skiers looking to access Rubicon Peak via parking in a nearby neighborhood have received tickets from the El Dorado County Sherriff. In the Tahoe Basin, it is illegal to park on the shoulder between November and May because it impedes snow removal. However, back-country skiers note that in the past, parking in theses areas has generally been tolerated. Other popular areas including Mount Tallac via Spring Creek Road and the Fallen Leaf Lake trailhead into Desolation Wilderness that are behind U.S. Forest Service gates that are locked in the winter to prevent erosion caused by vehicles on wet and muddy roads. “The West Shore issue has been educational to me. I’ve realized that any trailheads that aren’t Sno-park zones could be next,” said Reichel. The loss of access to these areas has back-country enthusiasts concerned about the potential of over crowding in the few places that remain open. It seems the local community shares a concern for access to the back country as the group earned more than 1,000 followers on Facebook in less than a week. “With more and more people in the back-country, parking is going to become more of an issue,” said Madigan. Following a storm of phone calls and e-mails from the back-country community, TRPA and Caltrans have responded by revising the project to include a 25-foot by 100-foot pull out above D.L. Bliss State Park. As well, both agencies have said that California State Parks has agreed to plow the upper lot at the D.L. Bliss Visitors Center as long as resources allow. While the solution isn’t perfect, it’s a step in the right direction for collaborative planning between agencies and recreational users. “Our primary focus is protecting the lake, but moving forward there needs to be more engagement from these recreational groups,” said Nelson. This project is part of a larger series of storm water improvement projects to take place over the next few years. TRPA and Caltrans are currently working to schedule a public meeting with the Tahoe Backcountry Alliance and any other users groups to discuss how to better engage the community in project planning and to create holistic solutions that preserve recreational access and protect lake clarity. 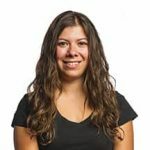 “I think we all recognize a greater need for recreation access and parking in all corridors around the lake and not just in winter, but spring, fall and summer, too. Hopefully, we can put together a better process to address these needs,” said Tom Lotshaw, public information officer for TRPA. Update: A public meeting is scheduled at 6 p.m. on Oct. 23 at the Meeks Bay Fire Station with El Dorado County Supervisor Sue Novasel, Senator Gaines and representatives from TRPA and California State Parks. A tour of the paving project precedes the meeting at 3 p.m. Follow TheTahoeWeekly.com and facebook.com/TheTahoeWeekly for more updates as this story progresses. For more information on local Caltrans projects, visit dot.ca.gov or follow @TahoeRoads. 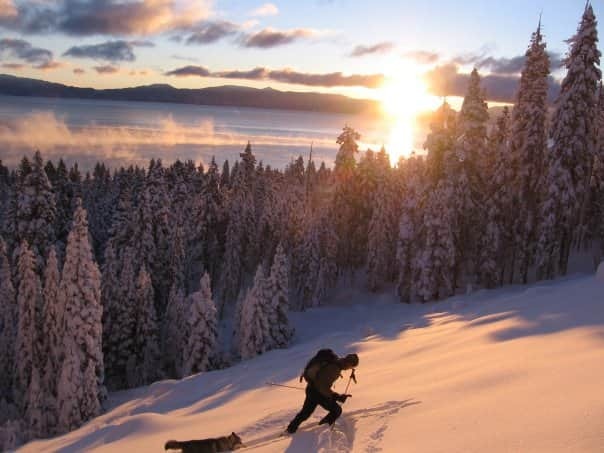 For more information on the Tahoe Backcountry Alliance, visit Facebook. This story will appear in the Oct. 15 issue of The Tahoe Weekly.